Bro. 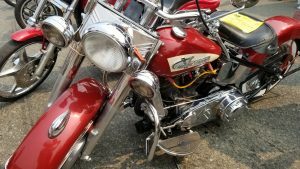 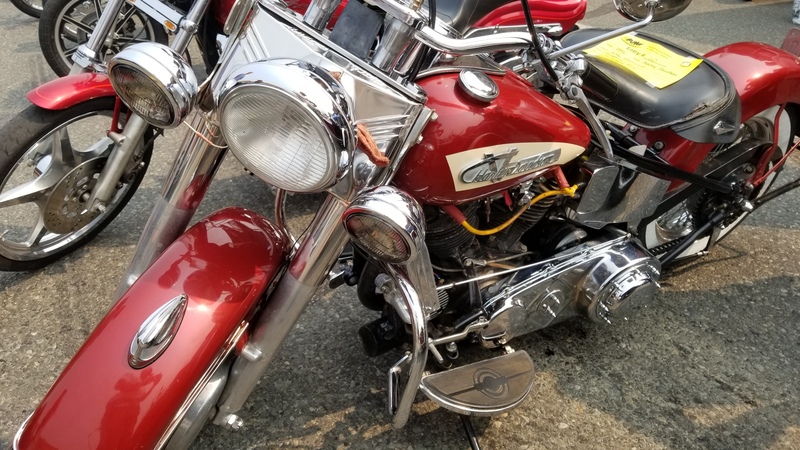 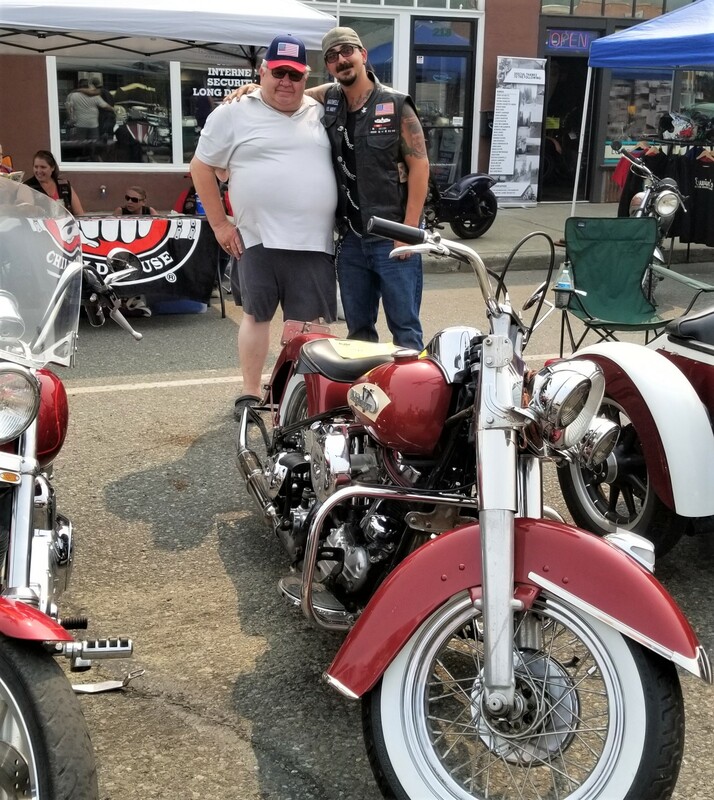 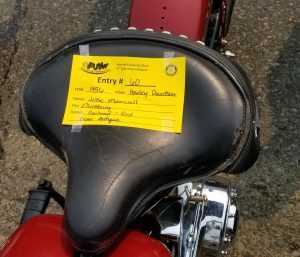 Jesse Maxwell entered his vintage motorcycle in the Annual CleElum car show and won an award! 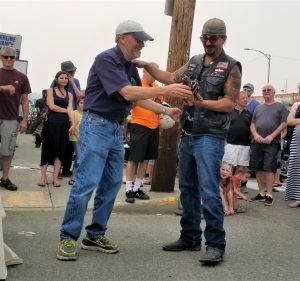 Nick and Pat were there to cheer him on. 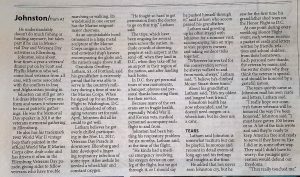 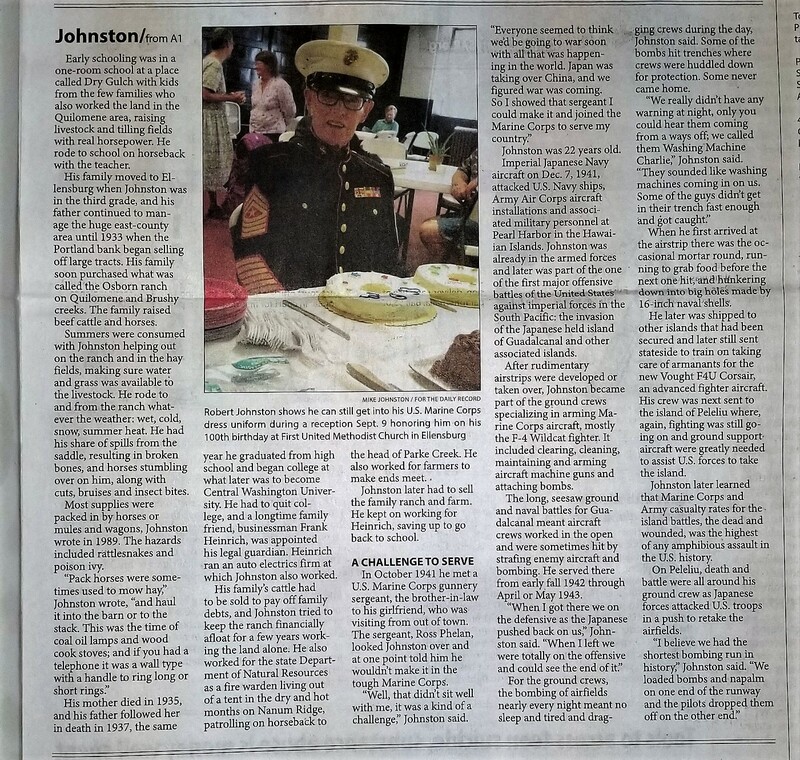 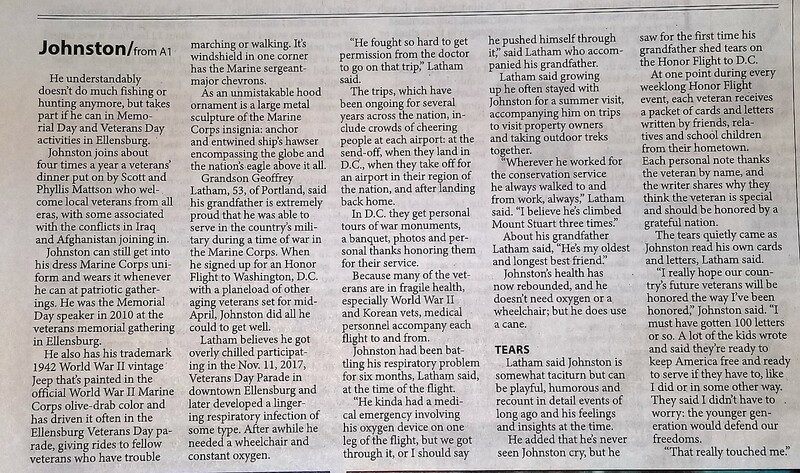 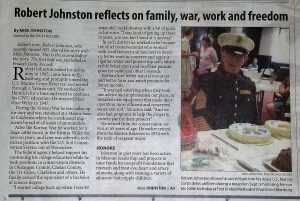 WB Robert J Johnston made the newspaper! 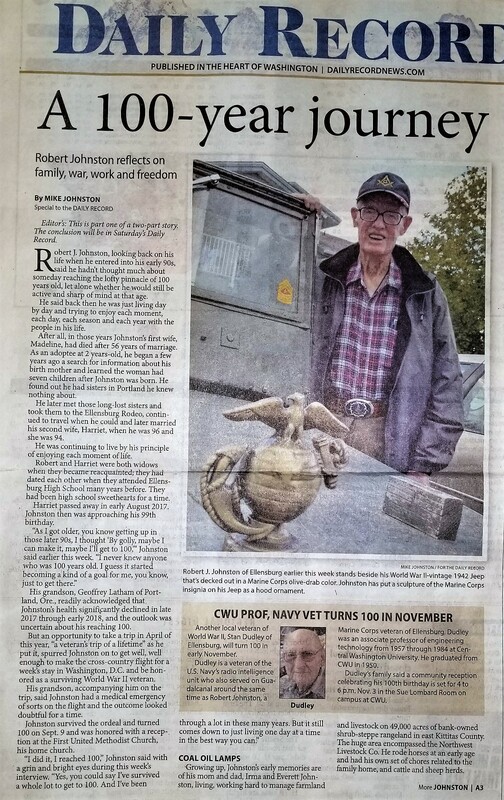 Bob turned 100 years old in 2018. 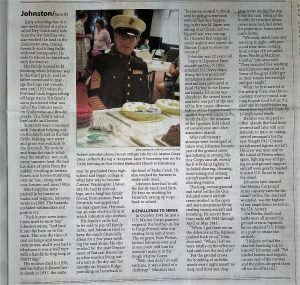 If you click the pictures you can read the whole story. 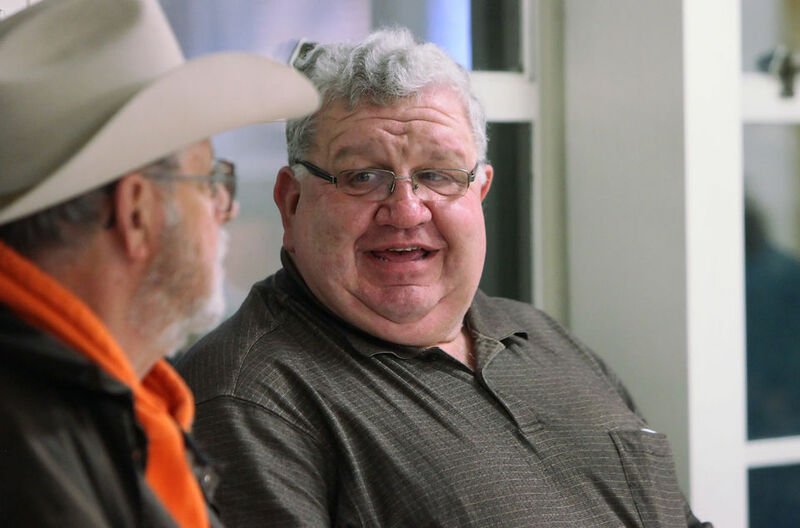 Nick Henderson was recently elected to serve as Kittitas County’s first Coroner. 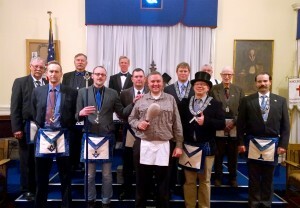 Here is a picture on Election night. 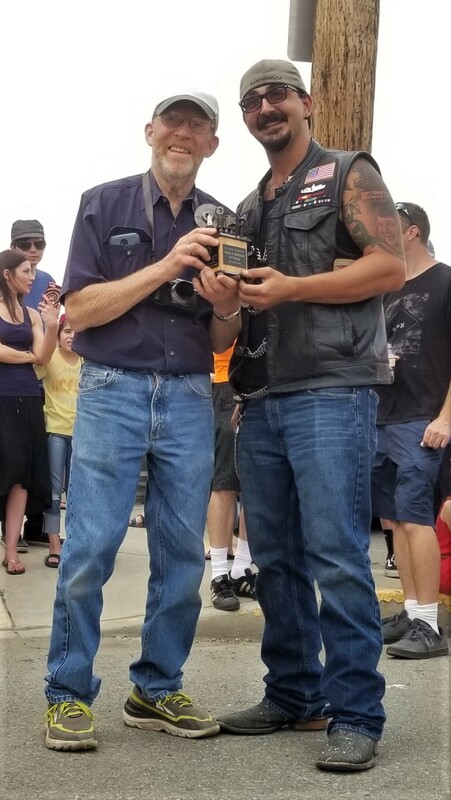 Ron Graham, on the left and Master of the Lodge, congratulates Nick (right). Here are Pat Stanton and Wayne Erickson at a function for Gallery One in Ellensburg. 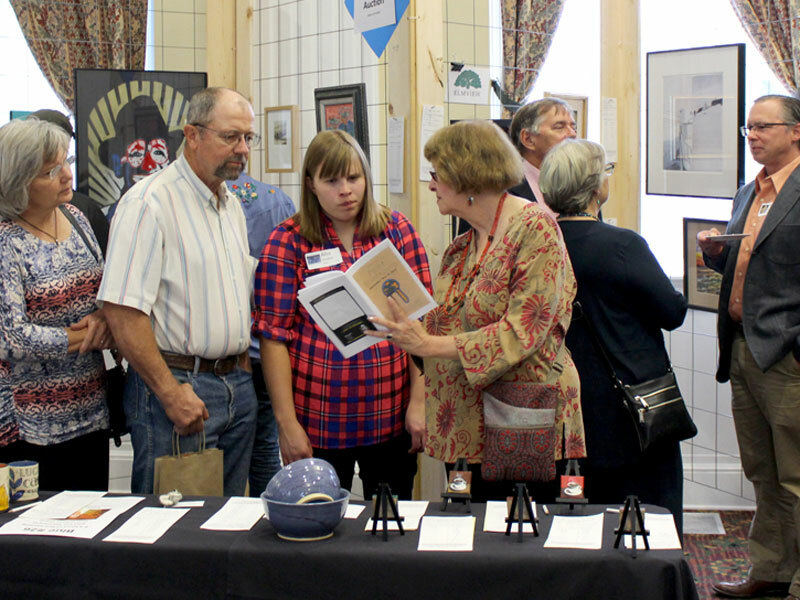 Pat is the Treasurer of the Gallery and a resident artist. 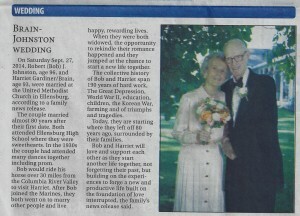 Wayne and his wife Patty are long term members and donors. 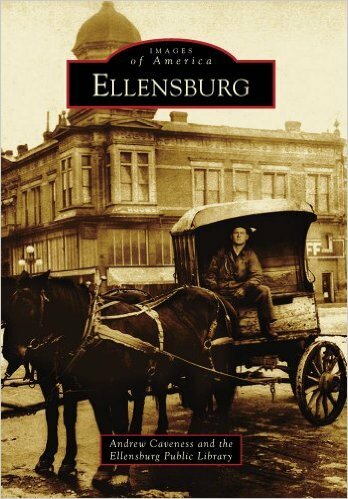 the History of Kittitas County. 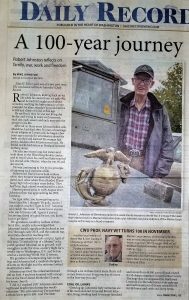 This is a picture from the Daily Record of Bob Johnston driving his 1942 jeep in the Veteran’s Day parade. 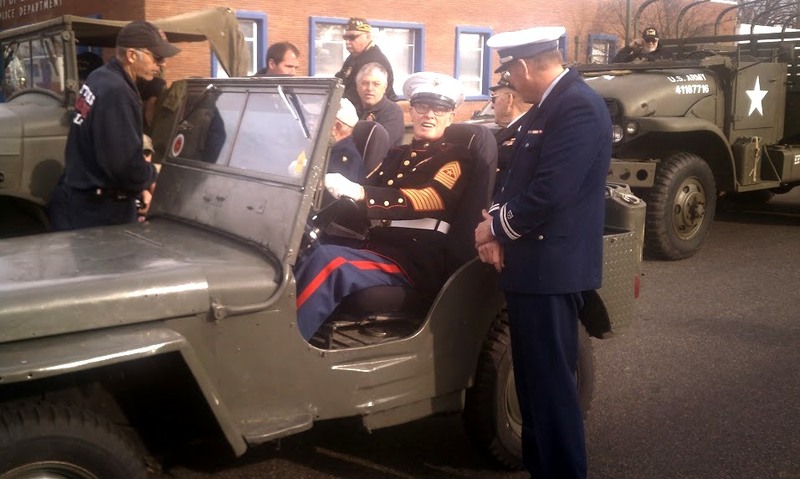 Bob served in WWII and has had a long and distinguished career in the Marine Corps. 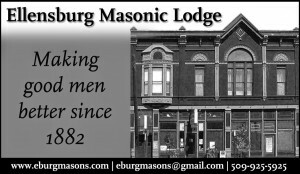 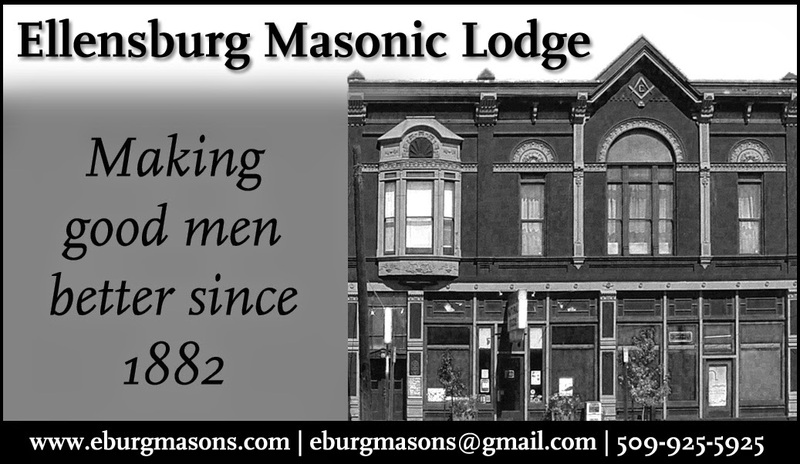 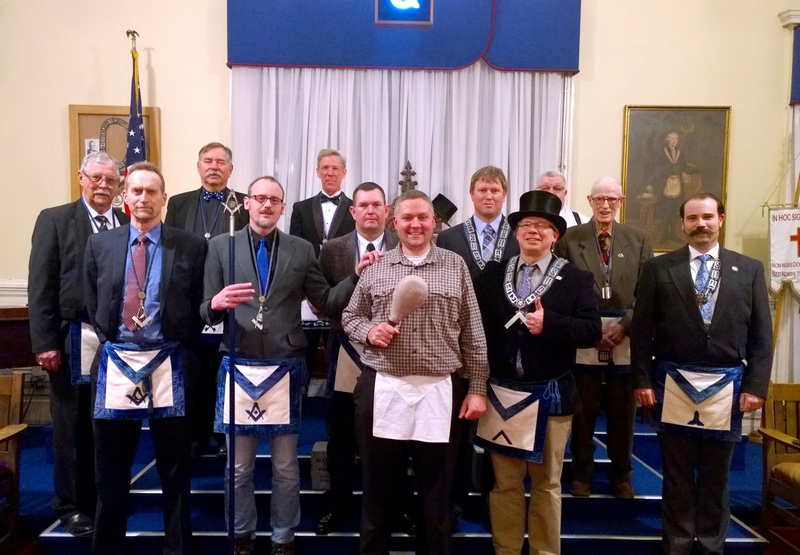 Bob was Master of the Lodge in 1961 and still regularly attends lodge meetings. 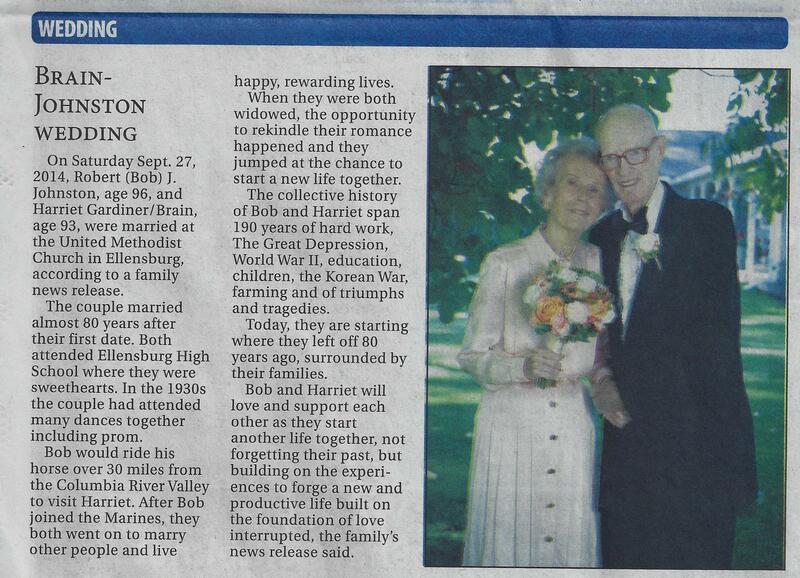 This is a wedding announcement from the Daily Record of Bob Johnston and his new wife Harriet. The dated in highschool here in Ellensburg – a long time ago! 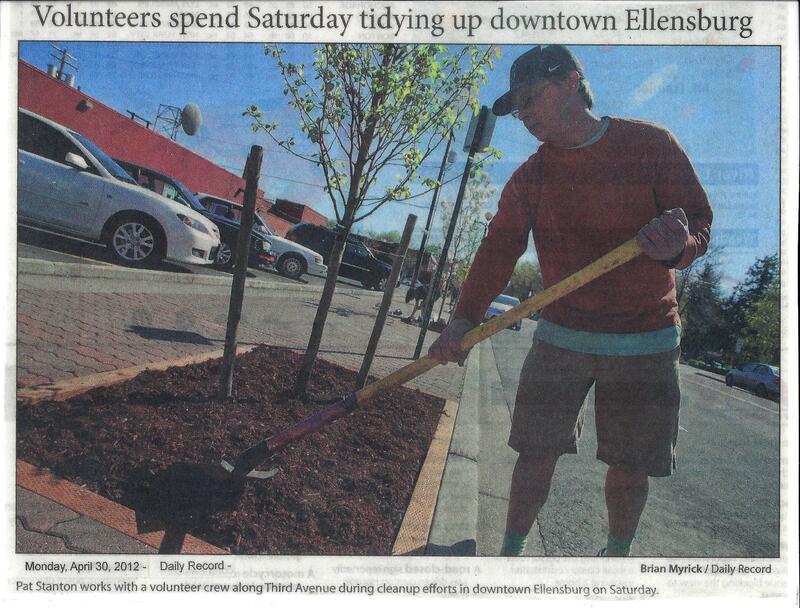 This is a picture from the Daily Record of Pat Stanton in a rare (for him) day of manual labor during the community downtown clean up.